Our brand new shot glasses and newest CD "Save the Ales" is now available! $10 CD, $5 shot glass or buy two CDs for $20 and get a free shot glass! Buy CDs and merchandise at our shows or contact us here for mailing CDs (plus shipping charge) straight to your door! Be sure to procure our first CD, Red Rum in the Jar, available for purchase $10 after the shows! Check out two songs from the album here on the right side of this page on your PC. Check out Marc Gunn's Pirate podcast #142 featuring Red Rum's Ghost Pirates in the Sky. 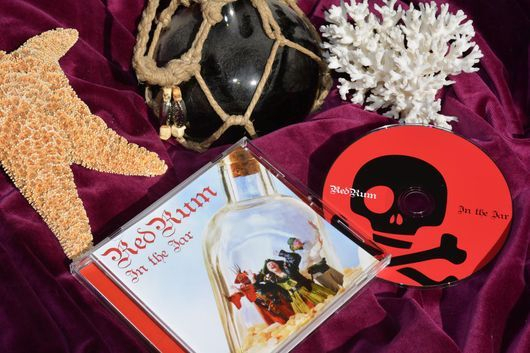 *New 2018* Listen to Scoundrel's Inn Pirate Music Podcast debuting Red Rum's latest music. Look for Podcast #180 and up.